Gary A. Zucker & Associates, P.C. in Brooklyn is committed to accident victims located throughout New York City. We know just how serious a major injury can impact your life. This is especially true of a serious back injury, which can result in lifelong paralysis. Spinal cord injury lawsuits are intended to cover medical bills and lost wages, which can help with the overall healing process. Right now, we'd like to consider paraplegia after a major injury accident and what kinds of changes these matters have on people's lives and livelihoods. Paraplegia refers to the loss of sensation and use of the lower extremities. When a person suffers from paraplegia, he or she will find it difficult to walk, and possibly may experience difficulties when it comes to turning at the waist. The severity of the condition will depend on the nature of the spinal cord injury and how high up on the spinal cord the injury took place. The loss of the use of your lower extremities will have a major impact on your career path and your earning potential. If you had a physical occupation or one that involved the use of your legs and required full mobility, you will not be able to participate in that occupation any longer. Future earning potential can be severely impacted by this, meaning that you may need to change careers given the nature of your physical impairment. In addition to altering your career path and earning potential, paraplegia can also lead to major changes with regard to your ability to enjoy life. 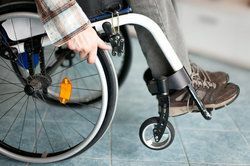 Men and women who had active lifestyles will now be bound to a wheelchair and require assistance doing many routine activities around the house. Transportation options will present a number of limitations, and simply getting around in business establishments will prove more challenging. These changes to your normal life can have a very negative impact on your emotional and psychological state, which is why seeking compensation is so important if the injury was the result of an act of negligence. Our legal team will fight to obtain just compensation for the victims of a serious injury or accident. This includes damages to cover the more immediate medical treatment costs of the injury as well as long-term medical costs, such as physical therapy and rehabilitation. We will also seek compensation to account for the change in your career path and the major impacts made to your quality of life. Punitive damages may also be sought against the negligent party in order to address the egregiousness of the accident/incident. This goes above and beyond the monetary and material losses associated with the accident, and the amount sought will be defined on the nature of the accident as well as previous cases that are similar in nature. Speak with the Lawyers at Gary A. Zucker & Associates, P.C. For more information about your legal options following a major injury accident, it's important that you contact our personal injury lawyers today. The attorneys at Gary A. Zucker & Associates, P.C. are here to fight for you.